AISACの年次会合へ、いざ出発 / Here We Go! AISAC annual congress! Tonight, I am going to Rimini with Saeko. 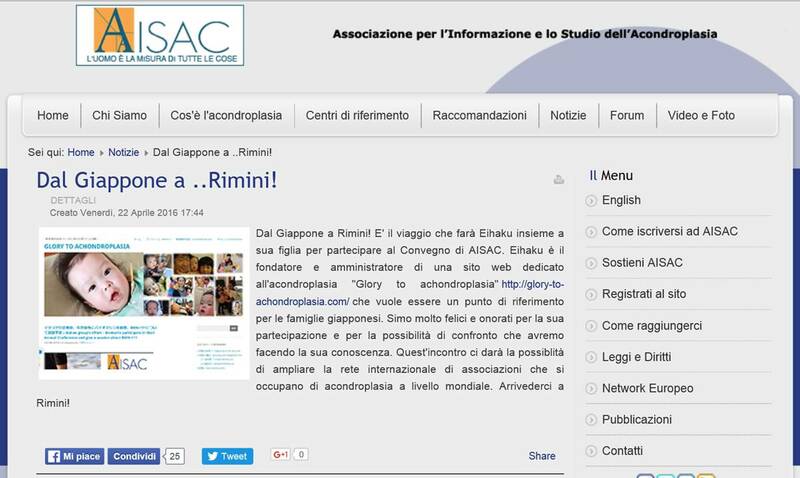 On 22th April, as soon as I have adjusted my schedule to take holidays on my job, decided to go Rimini and say to President Marco about that, he listed the topic of our coming in AISAC website. It is really glory for us. I got translation to put the passage in the website into “Google Translate”. I can see some not natural parts because of automatic translation system but clearly their welcoming for our flight to their congress.